I saw rock and roll future, and its name is Houndmouth. The Music Hall in Charleston. Drummer Shane Cody looked up from his set, squinted under the blinding cornice of lights trying to see the audience, and growled into the microphone. I looked down on the crowd. No one was sitting. “You’ve even got an upstairs,” he added wryly. The balcony around me roared. As if “PBR” were their cue, Zak Appleby and Matt Myers together jumped in the air and music jumped off their guitars. No one fronts the band. They all front the band. Jon Landau–very famously–claimed to have seen rock and roll future, but that was way back in rock-and-roll past: 1974. It’s name was Bruce Springsteen. The Boss (not yet The Boss?) had released his second album, The Wild, the Innocent, and the E-Street Shuffle. There is a lot to love on those first two albums–my choice would be “Sandy.” (Check out the video below, and in retrospect it’s hard to miss the genius.) But you have to remember, this was before Born to Run. Landau was the first to say what Bruce was and would be, and he said it so prophetically. I was young in 1974. Landau’s future of rock and roll was my youth. I grew up in a leafy New Jersey suburb, going to the shore each summer, visiting cousins in Chinatown and Levittown and the Bronx. I was thirteen when Born to Run came out, far too young to see Bruce before he got big. I never saw one of those shows in a venue like the Stone Pony or the Harvard Square Theater or the Charleston Music Hall. Ironically, I didn’t really discover Bruce till we moved to Texas. The first cassette tape I ever bought was Darkness on the Edge of Town: I was sixteen. The first Springsteen concert I went to was on his River tour, when I was at college in Dallas, and by that time Bruce was playing NBA arenas. The real fans revealed themselves to each other by singing all the words to “Thunder Road,” while the casual come-alongs hummed. Everyone sang “Born to Run.” Everyone shouted the “uh-uh-uh-ohs” together. Bruce uplifted the audience, exhausted the audience, his voice resounding, hoarse-inducing, foot-pounding, heart-soaring singing, guitar vibrating, saxophoning sound, and nobody was in their seats when he finished with the lights on and everyone in the stadium dancing or what was called dancing but was really popping up and down with a celebratory fist raised while Bruce sang his Mitch Rider medley. Outside was the hot muggy Dallas night. The crowd, broken into disjointed groups of people, left the arena in streams, joined the lights of the city, all those cars on the highways driven by people who hadn’t been to the concert. It didn’t matter. The world was vibrating and our pulse kept time and our inner ears still heard the thump, the beating heart of things, as if that vast basketball arena had been a drum that Springsteen beat song upon. The whole city was a drum, and we were inside it. In 2011, The Guardian called Landau’s piece “the most important gig review in history,” but it was no review. Landau didn’t even start talking about Bruce Springsteen till the eighteenth paragraph of a story that’s twenty-three paragraphs long. The piece is really an autobiography. Landau’s own musical history–who he listened to in college, his attempts at forming a band, all leading to the tired, jaded, aged feeling the rock-and-roller has at four in the morning, when he’s settled down, married, and his wife has been asleep already for six or seven hours. He’s got a mortgage payment due in three weeks, the 2nd installment and another 358 monthly checks, mileposts on the road to old age. He’s got a child in a crib who’s sure to start crying before he finishes typing. Landau had tried to make it as a musician and failed. He had tried a little producing, but he failed. He became that strangest of all creatures, stranger even than those folks who try to describe the taste of wine. 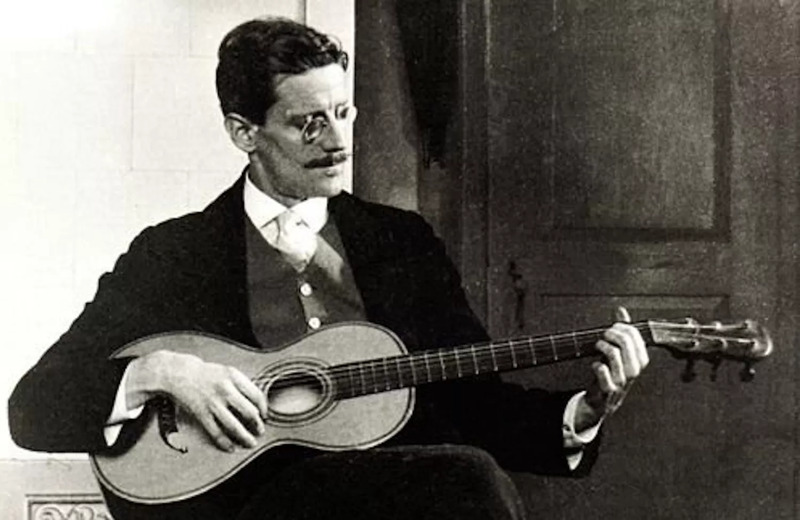 He was a “critic” of rock and roll. Someone who uses a typewriter to try to translate into soundless words the effing ineffable. 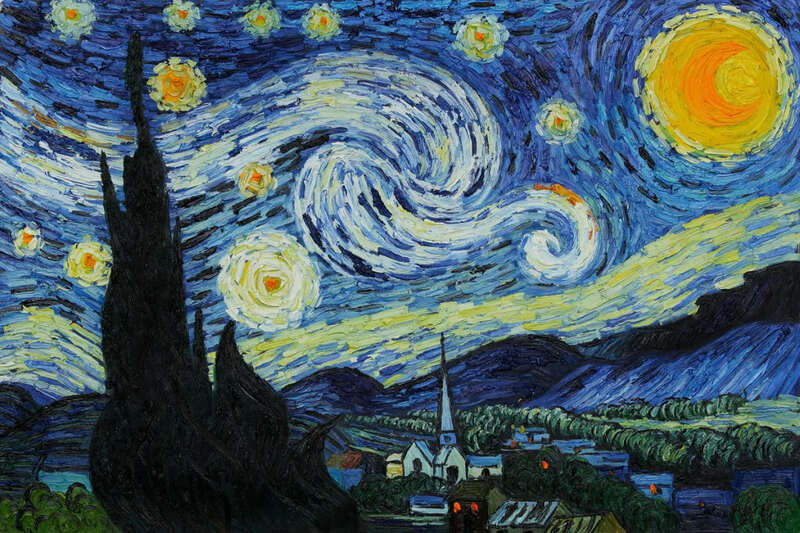 You might as well use Legos to describe how you felt when you saw Starry Night. The effing ineffable. That’s what Landau wanted. He felt the vibration in his youth, when he listened to records by Otis Redding. But as he grew older, so did rock and roll. San Francisco ruined it. Bands like Jefferson Airplane (the one Landau singled out for blame) “detached” Landau from the music. It was hippie rock. It was drug rock. Landau wanted music to be the drug. Music that lifted you to some higher plane of existence where your fingers tingled and your soul soared, wings beating on near-solid sound. Landau wanted the future to be rock-and-roll’s past. I’m 54. Twice the age that Landau was when the sound of 4-in-the-morning rain made him maudlin. I’ve got just 23 months left on that twice-refinanced mortgage. It’s 4:30 in the morning, and the rest of the house is asleep. But I’m not up because I haven’t gone to bed. I’m up because I wake up early. Sometimes 4, sometimes 5 am. Around 9pm each night, my wife and I surrender the first floor to our 18-year old twins. We can hear them in the downstairs laughing. Going out to hear a band means staying up past our usual bed-time. When we go to the Music Hall I always eye the other gray-hairs looking for comrades. Some look like they belong there. Tall, skinny, gaunt-faced. Like they’d never stopped going to hear bands. Like they go to bed at sun-up. Like they knew what people today call pot. Their eyes do not meet mine. But other gray-hairs look too-bright-eyed, with that aura children have on Christmas Eve when they get to stay up late. That’s my tribe. Not many of either type came to Houndmouth. That’s a good sign, according to Scott Peeples. Scott’s in his fifties, and while he still calls pot pot, he never stopped going to hear bands. “You want to be the oldest person there,” he says. “If you see a lot of people older than you . . .” He smiles and shakes his head, leaving the consequences to our imaginations. I imagine a Foreigner tribute band. Well, I don’t think I particularly needed to feel young, but Houndmouth did it to me anyway. Take a look at this video, and you’ll get a feel for their charisma. And I might have to steal . . . your soul. She roamed this land strong-willed, free, and wild. Somehow these traits come together in Houndmouth–the wild, the innocent, strong-willed, world-wise. 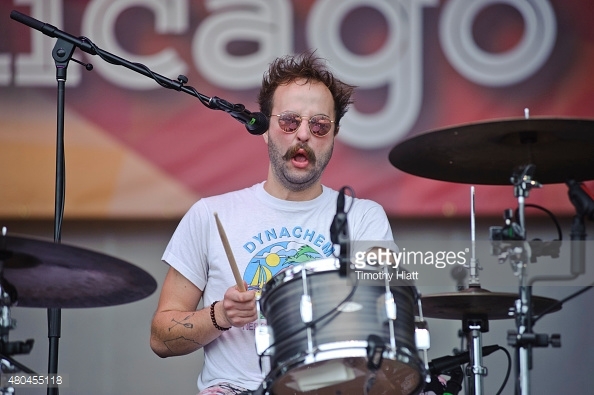 Matt Myers is a cross between Freddie Mercury and James Joyce. He’s flamboyant. He’s lithe-limbed. He just looks smart, and he carries the band’s signature voice. Zak Appleby exudes the masculinity of micro-breweries. I have no idea what that means, except that there’s just a little of John Wayne mixed in. Watch him sing “15 Years” on this video. I’m not sure it does justice to the live show, but you get an idea. He’s as compelling as the young Springsteen. Shane Cody is the Ringo Starr of the group. A workmanlike voice (“Honey Slider”) that makes it seem like you or I could be in the band, if only we were born in New Albany, Indiana twenty-some-odd years ago. Landau’s review had the tone of discovery, and I guess in some ways you might say Landau did put Springsteen on the map. He prophesized Born to Run. I don’t pretend to do the same thing here. The “Sedona” video has more than 3 million hits on YouTube. It’s not like some 54 year-old living in Charleston can claim to have discovered anyone who plays SXSW. My wife and I “discovered” Houndmouth when our 27 year-old son, Spencer, gave us their Little Neon Limelight for Christmas. We played it a few times. We liked it. But we don’t listen to music like we used to. I used to listen in the dark of my room, nothing but the lights of the amplifier glowing. I listened in the car, radio blasting, windows open, wind blowing through my hair. I used to study albums the way some people study the Bible–a mix of awe, inspiration, and exegesis. Today, maybe we put on an album while cooking dinner. That’s how I listened to Little Neon Limelight. I liked it OK. When we saw that Houndmouth was coming to town, we thought, Why not go to the show? All innocence. I was ready for a pleasant experience, a mild displacement of my regular sleepy 9pm routine. I wasn’t ready for revelation. But it came anyway. I’ve listened to the album about a thousand times in the last couple of months. Riding my bike to work. On the plane for a business trip. Blasting in the living room: our teenagers roll their eyes. In the backyard on the wireless speaker I proselytize the neighbors. I haven’t listened to an album like this since U2’s Joshua Tree came out in 1987. They had everyone singing. Not a soul in their seats, not even me, and if you sing like you mean it you can’t help but mean it. The effing ineffable. I don’t feel like I’m 27. I don’t want to feel like I’m 27. I feel like I’m 54, and that feels young. Very good blog. i think about the future of rock and roll all the time. Hey, Joe. I really enjoyed reading this again. Props for many a nice sentence. Also, now I like this band. . . . even though I don’t seem to be the right gender for the future of rock and roll, and far too old. Always glad for proselytizing coming from you. Sorry I missed this when you first posted it, Joe. 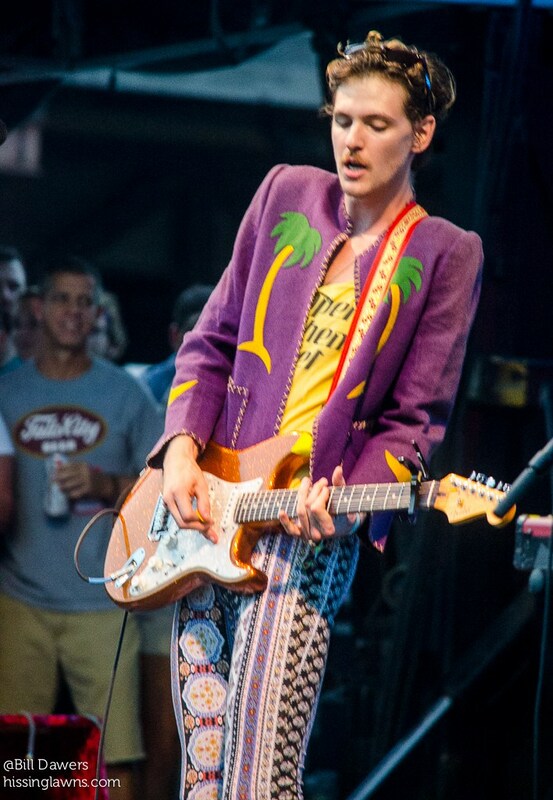 Great essay; made me wish I had gone to see Houndmouth at CMH!